A Hill-Sachs injury to the shoulder occurs as the result of a shoulder dislocation. 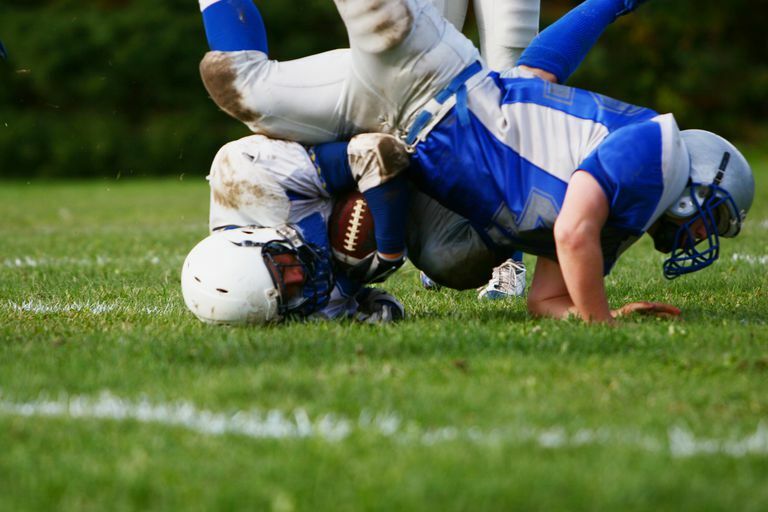 A shoulder dislocation is often confused with a separated shoulder, but these are very different injuries. When a shoulder dislocation occurs, the ball of the ball-and-socket shoulder joint comes out of position. Usually, when this injury occurs for the first time, someone must reposition the shoulder joint, often in a hospital or emergency department. The shoulder joint is made up of the ball on the top of the arm bone (the humerus), which is called the humeral head. The socket of the shoulder is part of the scapula (the shoulder blade) called the glenoid. Helping to hold the ball in the socket are ligaments, cartilage, and tendons. When a shoulder dislocation occurs, the normal structures that hold the ball inside the shoulder socket are damaged. Damage to the shoulder is mostly dependent on the age of the patient who sustained the injury. The usual damage is either to the shoulder ligaments, called a Bankart tear, which occurs in younger patients. In older people who dislocated their shoulder, the usual injury is to the rotator cuff tendons. In addition to ligament or tendon damage, the bone and cartilage can also be damaged; the most common type of damage is referred to as a Hill-Sachs defect. The Hill-Sachs defect occurs when there is an injury to the bone and cartilage of the humeral head. As the humeral head dislocates from the socket of the shoulder joint, the round humeral head strikes the edge of the socket with force. This creates a divot in the humeral head called a compression fracture. This divot is often seen on MRI, and larger Hill-Sachs injuries may also be seen on an x-ray. A Hill-Sachs defect does not occur in isolation, meaning there is always other damage that allowed the shoulder to dislocate. The Hill-Sachs defect is often used to confirm that the shoulder did come completely out of the socket, rather than just partially dislocated, as occurs in subluxation. A Hill-Sachs defect occurs in about half of first-time shoulder dislocations and is almost always seen in people who have recurrent shoulder instability from multiple previous dislocations. The reason to look for a Hill-Sachs defect is not only to confirm the suspected shoulder dislocation injury, but also that identification of a Hill-Sachs injury is critical to ensure proper treatment of the shoulder dislocation. As stated, it's important for your surgeon to recognize the presence of a Hill-Sachs lesion prior to attempting to surgically treat a shoulder dislocation. If the Hill-Sachs defect is large and left untreated, the repair may fail, and recurrent shoulder instability could occur. The usual criteria used to determine if the Hill-Sachs injury requires additional treatment at the time of surgery is the size of the lesion. Injuries that involve less than 20% of the humeral head can almost always be left alone without needing further treatment. That means the usual treatment of the shoulder dislocation (which may or may not mean surgery) can proceed without factoring in the Hill-Sachs defect. Injuries that involve more than 40% of the humeral head almost always require additional treatment. In situations where the Hill-Sachs defect involves between 20-40% of the humeral head, the surgeon should determine if the defect is contributing to instability. A Hill-Sachs defect that causes the ball to move abnormally within the socket is said to be "engaging," and these engaging Hill-Sachs injuries usually require additional surgical treatment. Doing Nothing: Observation is the most common treatment, and usually successful. Especially when a Hill-Sachs injury involves less than 20% of the humeral head, doing nothing is often the best treatment. Capsular Shift: Shifting the shoulder capsule is essentially a surgery to tighten the tissue in the area of the Hill-Sachs defect to prevent excessive rotation of the shoulder. By limiting rotation, the Hill-Sachs defect may not become an engaging defect. Bone Grafting/Tissue Filling: When the defect is large, and simply tightening up the shoulder is insufficient, something must be used to fill the defect in the humeral head. Some surgeons use bone, often from the pelvis, or other soft-tissue to fill the void. Disimpaction: Disimpaction is a surgical procedure that lifts up the compressed bone to try to re-establish the normal shape of the humeral head. Shoulder Replacement: In some rare situations, especially very large defects in older patients, the best option may be a shoulder replacement surgery. This procedure is usually reserved for the last resort in younger patients. Determining the best treatment may depend on a number of factors including the appearance of the injury on imaging studies, physical examination findings, expectations for future athletics participation, and surgeon preference.